Part of my travel plans always includes delving into local cuisine. If you do not do this, you are missing out on an essential part of the experience. Do not rob yourself of delicacies that are hidden in these countries and cities that you travel to. My challenge for every travel is simple, “Be Local”, do not be a tourist. Tourists go to mostly exclusively tourist places and do tourist things, with other tourists. You may as well stay at home if you are one of those. That is not what travelling should be about. Some of these dishes will mean going out of your way to find places that serve them, so don’t be afraid mingle. Here is some of the food that I would recommend that you try while in South Africa. Now, if you ever travel to Southern Africa and not have pap, you are a loser! It goes by a few different names, such as stiff porridge, isthwala, sadza and so on. The name will depend on where it is that you are having it. It is made from mealie meal, which is one of the most widely grown crops in the region. The critical part when picking a fairly popular local dish is deciding where you want to have it. Most restaurants that are not Westernised would serve this dish. There are also a lot of bars and taverns where this dish can be enjoyed. 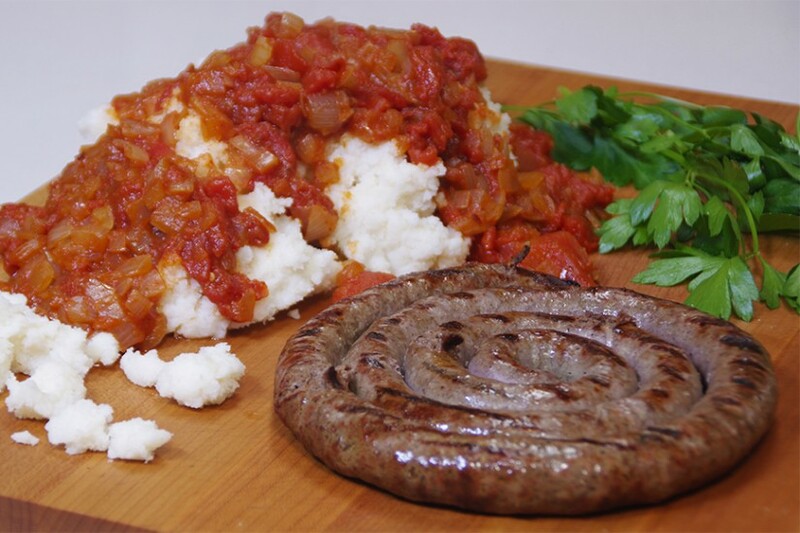 Boerewors is a type of sausage with somewhat Dutch origins. It is thought to have come from the Boer settlers. I’ll definitely put it up there as one of my favourite sausages from across the world. I was quite pleased when I found it in London and in Wales in some select butcheries. In Afrikaans, it translates to farmer’s sausage “Boer”- Farmer, “Wors” – Sausage. Now you certainly cannot say I haven’t taught you anything. 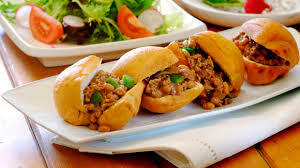 It is made up of meat and spices. The bulk of the meat is beef, some pork, coriander seeds, salt, cloves, black pepper, ground allspice, dry red wine, brown sugar and grated nutmeg. Any sausage experts out there, please feel free to correct me if I have by any chance missed a key ingredient. I’ve found that some of the ingredients are changed based on personal preference. When these two delicacies are put together in a meal, chefs will usually put their own spin on it. The common South African relish for this meal is a gravy made of tomatoes, onions, chilli and other ingredients that you may pick based on personal preference. Condiments such as chilli sauce and ketchup are encouraged to fully appreciate this delicacy. Once you have travelled Southern Africa as much as I have, you will find that these reoccur in various areas. As with the other food, they can be found in many variations and as well as names. With the vetkoek, I am yet to encounter one that is endeared to my heart. They tend to be too oily for my liking for the most part. Just because I don’t like them doesn’t mean that you will not. This is coming from a guy who doesn’t fancy chocolate cake, or chocolate in general. I’m quite specific with my taste, good and bad. Take a shot at these delicacies. They are widely served, in general, the presentation is better in the more expensive establishments. As I’ve repeatedly mention, you want to avoid the touristy places. Blend in, be local, enjoy local cuisine. The koeksister bears a significant resemblance to the vetkoeks. This is perhaps why it isn’t one of my favourites. I’m not a huge fan of high oil content. And that is not even a health decision, I just find oil hard to consume. I’ll reiterate that these are personal preferences that are not shared by many. 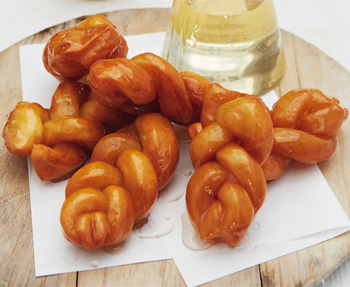 I’ve been to places where koeksisters are sold, and have seen many excited foodies. It may be your thing! Either way, this is part of tourism. Find food to love or to hate. I’ve had a lot of barbeques in my time, but I’ll vouch for a good old South African braai. It features a large braai stand that is filled with all sort of meat, including our beloved boerewors. Every meat lover will be in heaven at a braai. The bigger the braai stand the better. That just means more meat for everyone. Braai usually includes local beverages such as Amarula and Savannah dry among others. I cannot recommend these enough. They are a hive for socialising and eating while enjoying the sunshine. There are not many activities that will stand tall among the authentic South African experiences besides this. 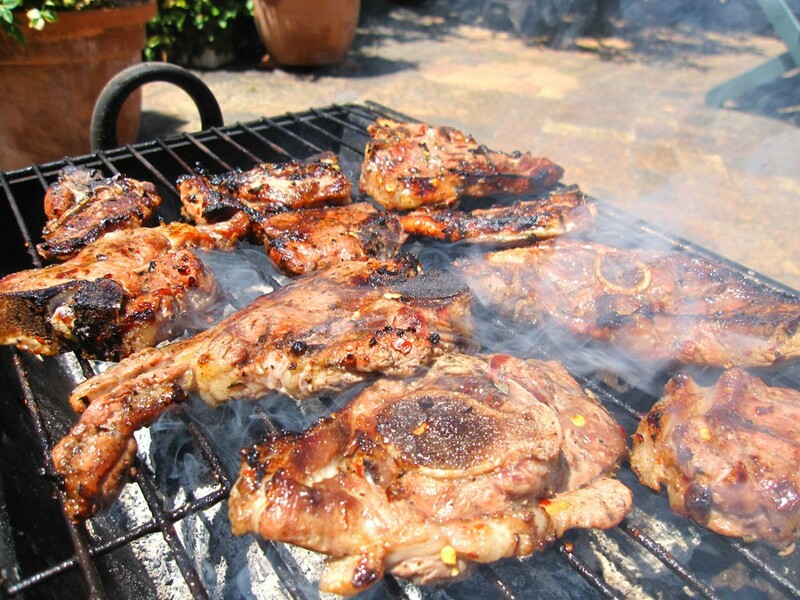 The word braai is short for braaivlei, which translates to open fire grill. Just some FYI kind of thing hahaha. I had a friend in school, well I don’t know if I could call him my friend really. Considering that I cannot even remember his name while writing this. Anyway, this guy was a year behind our stream, and his dad was a farmer. Do you see where I am taking this? His father made some great biltong, which I ended up having to purchase from him on a regular basis when I wasn’t in the mood for begging. It would have been nice to say that we became close or something of that nature, but you and I know that is not true. I did fall for the biltong though. 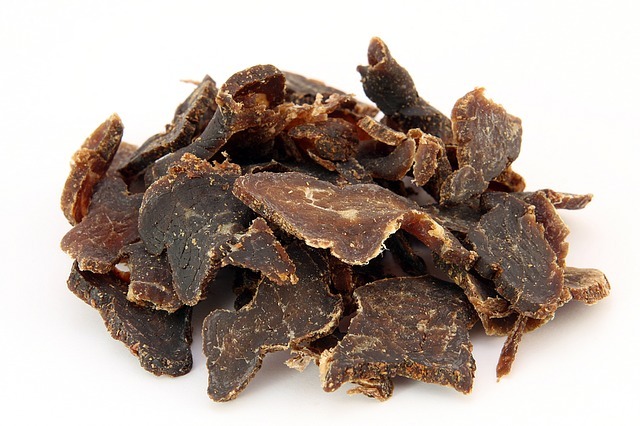 Biltong is meat that is cooked, packed with flavour before being sun-dried for the most part. This technique was developed as a preservative methods in times before we had refrigerators. Who knew that we were onto what would become a timeless winner? It is available in other parts of the world as well nowadays, I’ve seen biltong in British store aisles, as well as in New Zealand. Based on pricing and varieties, South Africa will continue to lead the pack for the foreseeable future. They also offer these in wild game varieties from kudus, impalas and other animals. Get yourself some biltong while in South Africa. 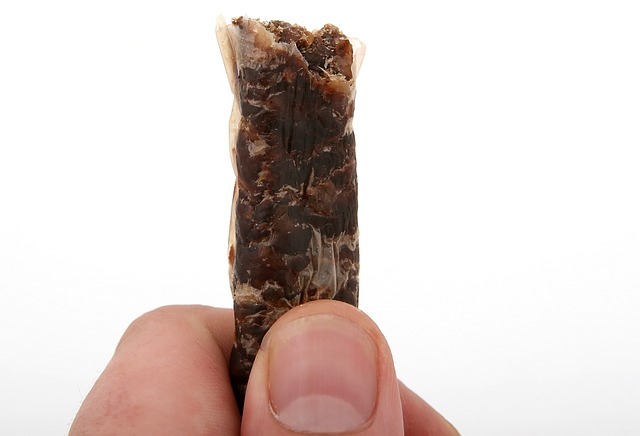 Although some will disagree with me, I think droewors are closely linked to biltong. 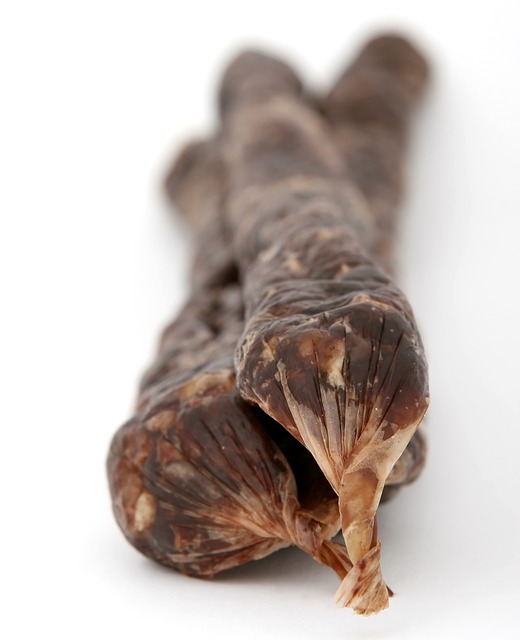 Droewors are a dried variation of our beloved boerewors. The name says it all. Unlike biltong, they tend to be very easy to get through. You can eat a load of those in no time at all. That’s a good and perhaps even scary thing. They are just so good! 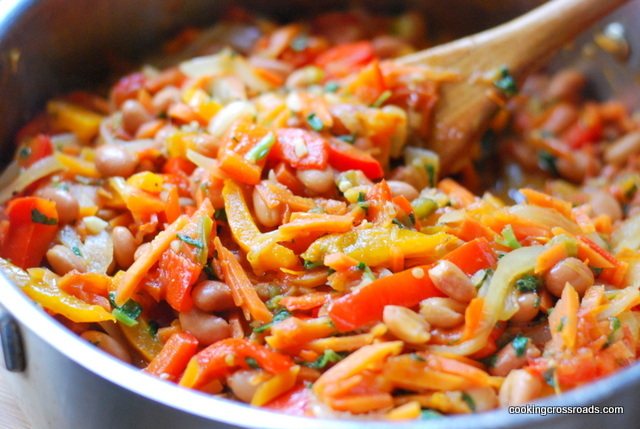 Chakalaka is a cheap to make a relish that usually accompanies pap. It is also packed with good nutritional value. Chakalaka is made with onions, tomatoes, peas and some spices. Some cooks in Johannesburg will swear on it. Place some boerewors next to it, if in doubt. You are onto a winner! South African wine has been on the come up for years now. It is becoming increasingly internationally sold and consumed. Their grapes make mean red wine! They have some great beverages that you ought to try before you leave. I will list a few and hopefully, you will fall in love with at least one of these. They cater for people of all sort of tastes. The list can be further lengthened. If I missed any noteworthy ones, please do let me know and I shall add it or them. Well, I guess that’s it then. Enjoy South Africa.